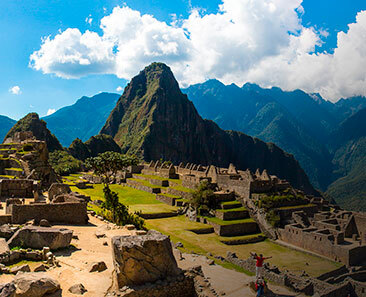 Immerse yourself in the Short Inca Trail to the Historic Sanctuary of Machupicchu. In its 10.5 km route, visit three beautiful Inca archeological centers, Chachabamba, Wiñaywayna, and Machupicchu. Also, enjoy the beauty of the landscape and the richness of biodiversity. This shared service gives you the option to join other people who are not necessarily your acquaintances. We will take charge of assembling your group. Venture with your new friends along the Short Inca Path that is completely preserving and signposting. Walk 6-hour to Machu Picchu on a comfortable and quiet road. At 3:40 am, our staff will pick you up from your hotel in Cusco to take you to Ollantaytambo train station. 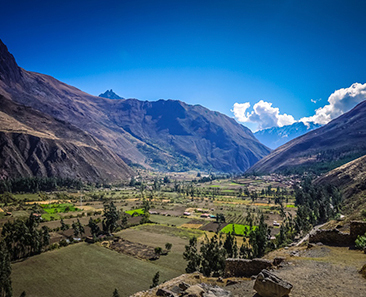 Then you will travel by train to the start of the Short Inca Trail, KM – 104 of the railroad, where you will through the control together with your authorized official guide for the Short Inca Path. Start to enjoy your adventure first visiting the archaeological site of Chachabamba, then continue on an ascending path until you reach Wiñaywayna, another beautiful archeological center strategically located. Here take a short break to enjoy your cold lunch and then continue among the humid forest enjoying the abundance of biodiversity (flora and fauna) until you reach the highest point of the route, sun gate (2,720 meters / 8,922 feet). After all, go down to the main gate of Machu Picchu and take the bus to Aguas Calientes. At 6:30 p.m., your guide will take you to an excellent restaurant for you excellent dinner and finally spend the night in a 2-star hotel. Today, take the first bus together with your tour guide toward the Inca city of Machu Picchu and explore every corner of the beautiful Inca city along with your expert guide. After 2 and a half hours of walking, on your own, you can go up to Huaynapicchu or the mountain if you have the permit (you must book in advance). After all, take the bus down to Aguas Calientes for lunch (on your own), and in the afternoon you must be at the train station 30 minutes before the time indicated on your return train ticket to Ollantaytambo or Poroy. 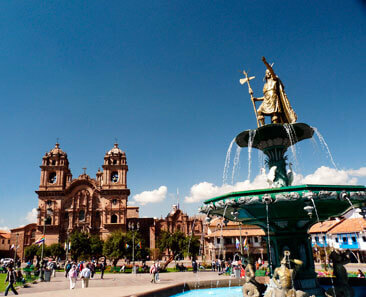 Where our staff will be waiting for you to take to the city of Cusco – Hotel. Private tourist mobility Round trip between Cusco Hotel and Train station. 1 lunch (Lunchbox) and 1 Dinner. Vegetarian option (no extra charge). Price 2019 through January 31, 2020. In this shared service, we have a single price and is basing on a double or marital room in a 2-star hotel. For a separate room or if you wish to spend the night in another hotel category, you must add a supplement. US$ 30 for university students under 25 years of age and who have a university card with the valid date at the time of the walk issued by their university. Also for people over 8 years old and under 17 (we need to see their passports). US$ 60 for children under 8 and we also need to see their passports in reserve. And we have special discounts for groups of travel agencies. Before booking the Sort Inca Trail 2 days, ask us about availability for the dates you want. Usually, reservations must be made at least one month in advance, depending on the season. Drink plenty of coca tea to avoid altitude sickness.